FIREWALKING is a universal cultural heritage. It is a traditional self-development method that raises the level of self-awareness, and enables people awaken to their true nature and hidden potential. All peoples of the Earth have practiced this timeless traditions in all continents from the Scandinavian Vikings, the Tamils of India, the Polynesians in Samoa, the !Kung in Africa, the Greek in Crete and Macedonia, to the ancient Huns in Hungary. Less practiced in medieval times in Europe, the tradition prevails only to be reborn with utmost clarity in a new contemporary setting at the end of the XXth century. To enable people of our times to relate to this timeless tradition. According to Greek mythology, Fire was brought from the mountain of the God's by Prometheus to make the life of human beings better and wiser, to use fire as the origin of all arts and sciences. 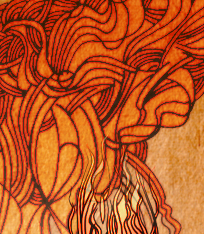 We own the birth of our human culture and civilization to our relationship with fire itself. This is why FIRE is considered universally as the symbol of the primordial power of creation, that best reflects our true nature, and as such is the life-giving sustaining force of every living thing. The most important fire in every human being's life is the Sun itself. Everything in this world is born from this one Sun and owns its life to it. Without the Sun, all life would dissappear from the face of the Earth within just 8 minutes. This why in every tradition the Fire of the Sun is also regarded as the Fire of the Spirit of Life. This is why we all feel attracted to it. It lives within our body, in every cell, animating all movement and action. we welcome families with children! Further registrations are welcome to our public End of Summer event! THANK YOU all FIREWALKERS for your growing interest, and continuous support! ALL our previous 4 Seasons Firewalks were FULL HOUSE events! and ALL our 32 previous public firewalking events ran FULL HOUSE. We receive applications in the order of registrations..
between 10:00-23:00 and the next morning. We reserve the right to change the timing! If you are a Firewalk Instructor that is out there to sell your Firewalking service, this Gathering is for you. The 2nd Firewalk Gathering will be held in Hungary, close to the capital city Budapest, one of the most beautiful cities in Europe, and easy to get to and around in as well. With 30 years of substantial international experience and expertise, the line up of speaker that we have is outstanding! Each of them could easily keep us spellbound for a whole day! And we have a huge support from important sponsors. 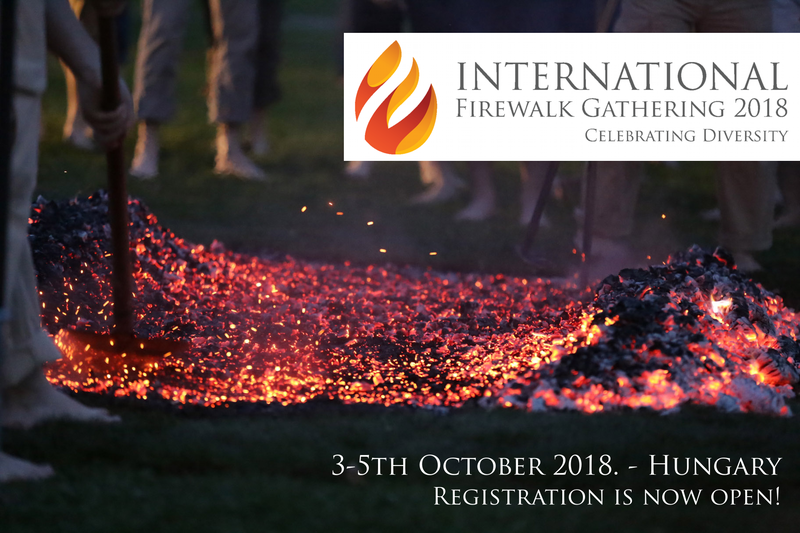 Have fun and celebrate the joy of Firewalking with three evenings of truly inspiring and outstanding Firewalks, the first being conducted by Firewalking Master Bence L. Tarr from NAPKAPU. The Firewalk Gathering is not only about sharing knowledge. It is also about creating the future for the Firewalking Service. Now we need delegates! The 1st, 10th, and 100th registration will receive a special gift! Click on the photos to learn more about us! The 1st International Firewalkday was a huge success! Thank you all firewalkers for your ongoing support and interest! Public Firewalking Programs usually start at 10:00 am and last a whole day, until 11:00 p.m. in the evening. We provide 3 meals and lodging in the price in convenient double rooms. The program closes with a "ceremonial" group discussion on the following morning, to allow room for sharing. This is not a mandatory part of the open firewalking program, but participants are strongly encouraged to make a reservation, and stay overnight. Please check detailed information of next specific program! 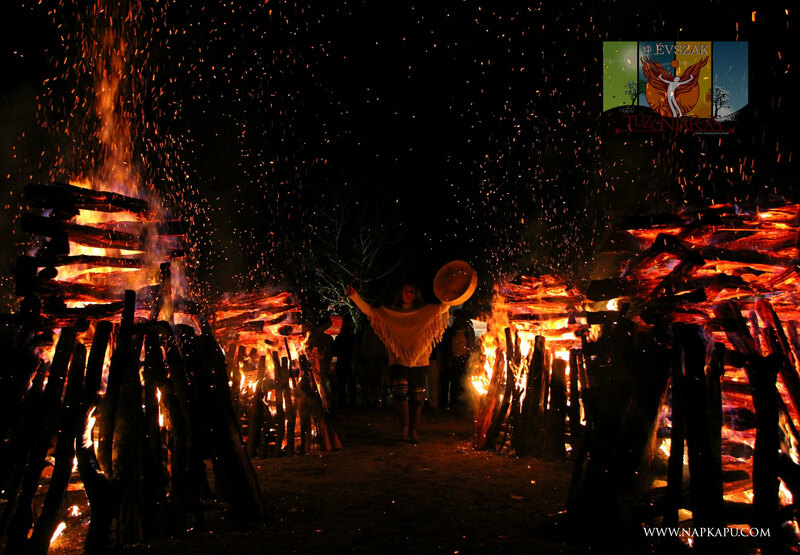 READ MORE ABOUT THE "4 SEASONS FIREWALKING"
FIREWALKING is a challenging attempt for the mind. Its primary aim and meaning is to teach people how to overcome their personal self-limitations, and learn how to expand their potentials in real practice. Firewalking can teach you how to overcome personal fears, hindrances, that stops you from leading the life you want to live. It is a proven personal development tool that has profound impact on thinking mechanisms and paradigms, resulting in better and more fulfilling life-strategies that make people lead a happier and many times more successful life. How to reframe the boundaries of possible/impossible within our own thinking, by mapping and identifying the thinking patterns and mental paradigms of our own mind, and hence boost our performance overcoming mental limitations and false beliefs. FIREWALKING is the practical test in confronting our expectations and thinking. In order to walk across an ember carpet that is 700-800 C° degrees hot without burning, you have to confront your inner belief-system. We teach you how to do this with ease! The methods and practices we teach during the course helps you change your mind about your own self-limiting beliefs, and explore into the true nature of your self. We help you overcome bad habits, wrong intentions, and also help you to discover your own personal strength and beauty that you also learn to channel and link to your own true personal aims and ambitions. 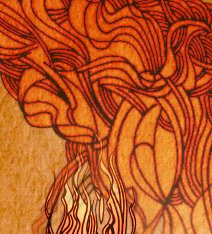 Firewalking is the proven tool to strengthen all serious inner change, as it also directly affects the subconscious-mind, ensuring long-lasting effect. During the course, on this journey to self-discovery, we provide help participants map their personality more precisely: what is the true source of fear and anxiety, where the boundary of the known and unknown lies. With this program we teach you how to confront and overcome your fears, as with the applied methods, we put you in direct contact with your own undiscovered personal powers, and your independent power-sources, so you can rely on your true self without having to depend on anyone else. As a vital element of the program, we also teach you how to formulate and positively affirm personal intentions, and we teach you how to build this intention into your life through an intensive group meditation before walking the fire itself. FIREWALKING is a unique and unparalleled lifetime experience each time, every time! 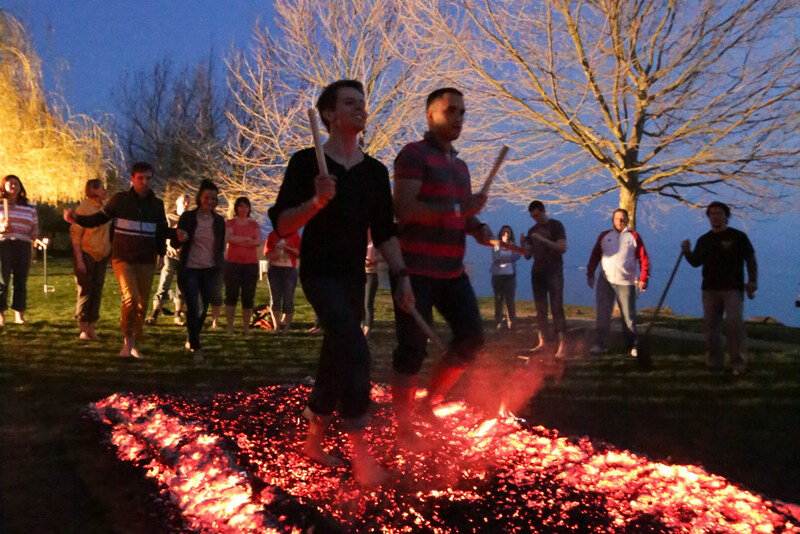 The 4 Seasons Firewalk is one of the world's youngest and most vibrant non-profit Firefestivals organised around the four cardinal points in the solar calendar, where participants can take part in a public firewalk four times a year. The line of events arouse great public interest with more than 1500 hundred participants in the last 7 years, leading to events continuously running full house over the whole the year. With a growing community of Firewalkers from around the globe, the 4 Season Firewalks tend to become one of the world's most important firewalking festivals. The charity events support the upkeeping of social wellfare movements and rural developments, presently the Ricsováry Major in Hungary. The practice of Firewalking is different in every season. With Nature's own calendar, the natural order of the seasons passing gives a completely different ambience and setting to a Mid-Summer Night's or a Winter Solstice's Firewalk. It is not just the outside world, but our own inner world that is different in every one of these seasons. Every Season has its own direction, its own intention, its own "spirit", and atmosphere. This is why Fire calls to different people at different times of the year. 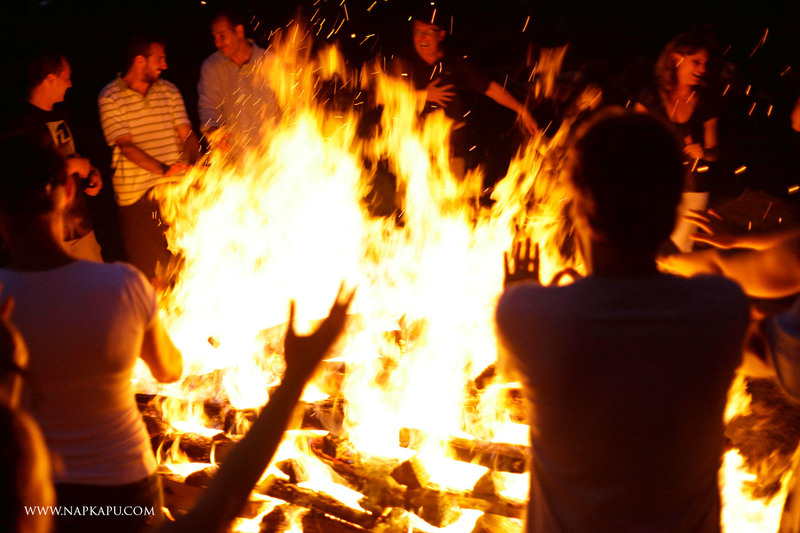 We make FIREWALKING programs available to EVERY INDIVIDUAL on a regular basis in open groups! Every 4 Seasons Firewalk is different in every year and every season. We always try a completely new form of firewalking, making every single event unique and unprecedented, no two events are alike. 07-08th of April 2018. (Saturday) - International Firewalk Day - FULL HOUSE! 1st-2nd of September 2018. (Saturday) - Summer Event - For families with children too! Further registrations are now welcome for the SUMMER event in August 2018. The events are conducted in both English and Hungarian. Nagy Ernő H.S.C. - 4 Seasons Firewalker created this documentary for the last 25th jubilee. Our next 4 Seasons SUMMER Firewalk is the 26th running Season and the 33rd such event in a row, which we will celebrate by walking another spectacular design, that is created for families with children. 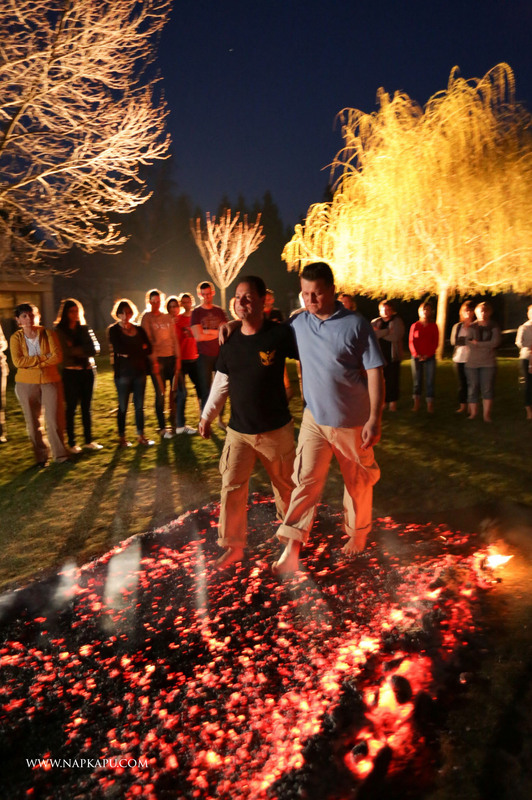 No two 4 Seasons Firewalking events are alike! FULL HOUSE events, so please book your place early. Further registrations are welcome to our public Summer event! Please make sure you book early as the last 26 seasons, all our firewalking events ran FULL HOUSE. 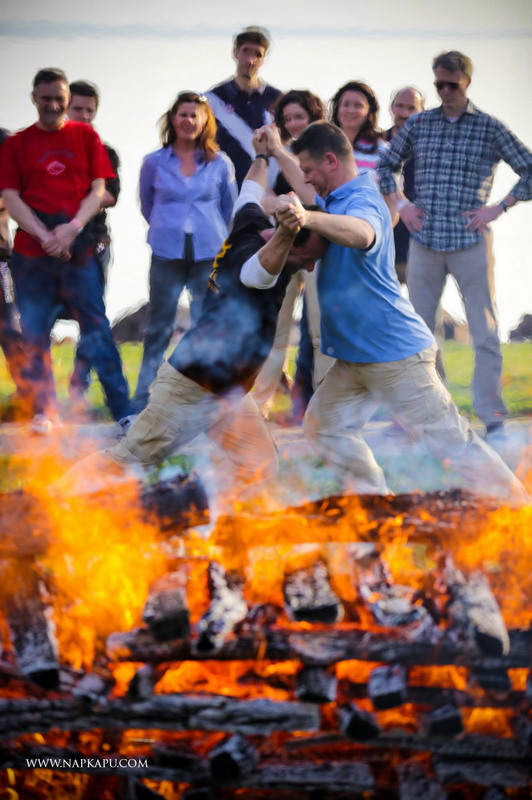 We deliver on-demand Firewalking Programs to corporate clients, tailored to their specific team-building or corporate needs. To the greatest satisfaction of our corporate customers, we deliver a lifetime experience to boost businesses! 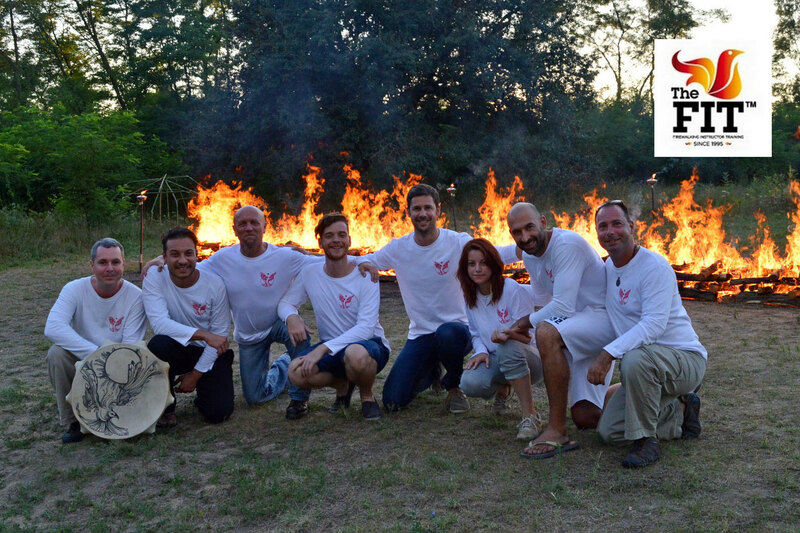 We have successfully delivered firewalking team-building programs with outstanding positive results to chief executive-, top-management-, sales-, and HR-teams of large multinational corporations with culturally diverse teams of all sizes from 20 people to groups as large as 170. "I walk the fire for you..."
Charity firewalking is a public or more often a corporate CSR event that now has a running history of over 20 years in the West. In the United Kingdom alone, there are more than a 100 charity firewalks in a year, mostly around the National Holiday called Guy Fawkes Day. The aim of charity firewalking is to support the cause of some charity or social organization through fundraising. Participants of any particular organization participate in the program on a voluntary basis, which by its nature is also an adventurous team-building event. It is also an outstanding PR opportunity for any corporation to promote social awareness and corporate responsibility, and is always welcomed and exposed by the local media. The voluntary participants of the organization, or any specific division or target team, walk completely unhurt through a hot bed of glowing coals, demonstrating their commitment to the noble cause of the charity organization in mind, through this symbolic act of “walking the fire for you”. Depending on the size of the organization, charity firewalking events start from 30-50 participants, ideally with a symbolic 100 firewalkers, although there have been fund-raising “charity firewalking” events with more than 500 hundred firewalkers too. After covering the simple operative cost of the event, the generated income of the charity firewalking CSR program goes directly to the supported charity organization. Our Spiritual Firewalking program enables participants discover and confront the inner depths of their personality, independent of any creed, religion or faith. Allowing room and open space to any interfaith dialogue (including skeptic, and purely materialistic systems of thinking), we teach people how to discover and experience the spiritual dimensions of their human lives within the principles of their own preferred belief-system. Our previous partners include: Trust Human, Integrál Akadémia, SZINTÉZIS Szabadegyetem, MA-URI Centrum, Etalon Coaching Társaság, 5LM Csoport, etc. In line with individual requests, we harmonize our firewalking practice to the needs of our individual clients. We deliver heart-lifting special event firewalks on rare occasions such as anniversaries, weddings, birthdays. As the aim and purpose is always different, we adopt the length and content of our program with great flexibility to the full satisfaction of our private customers. Click on logo for detailed information! The FITTM in Hungary 25th-28th August 2018. FIT HUNGARY - August 2015. FIT HUNGARY International - July 2015. Becoming a Certified Firewalking Instructor Trainer… means getting a new career and a better life. In a truly transformative four-day intensive training, you will get the capacity to manifest goals and serve humanity’s unlimited potential to create the intended life experience. Join a very special elite as a certified Firewalking Instructor Trainer and choose a path of transformation, empowerment, truth, responsibility, success and healing. Participants report major breakthroughs in all areas of their life after doing the FIT.